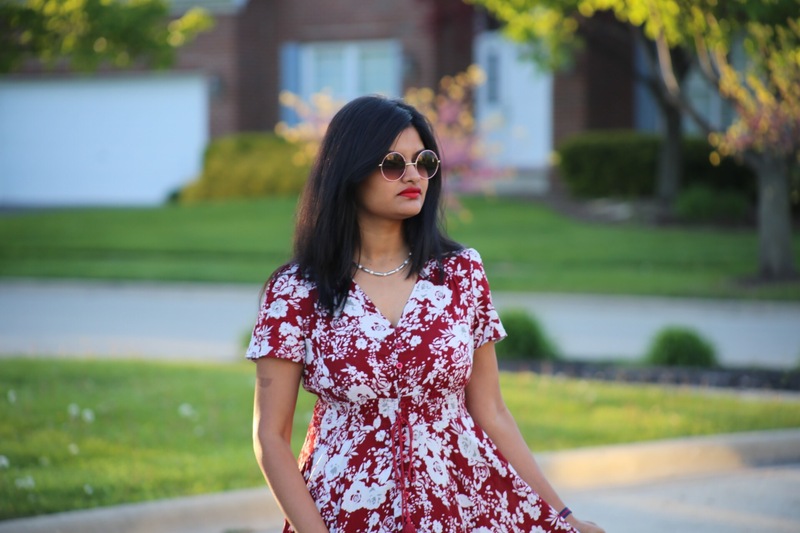 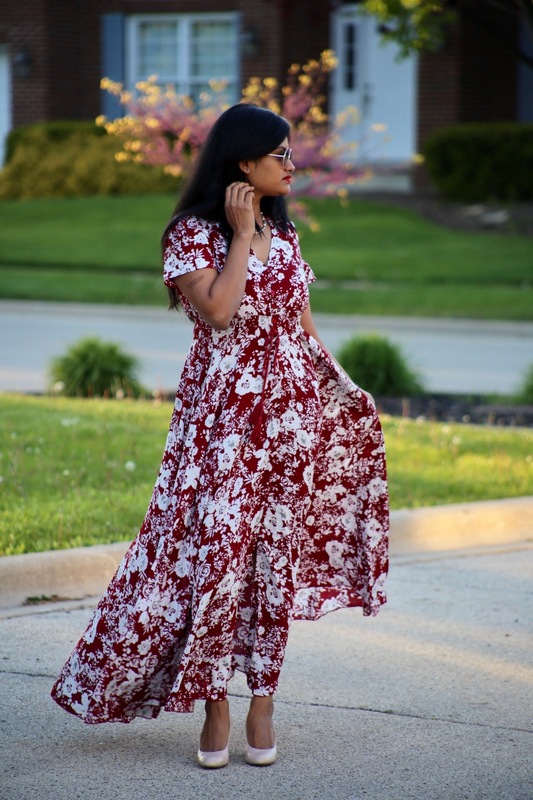 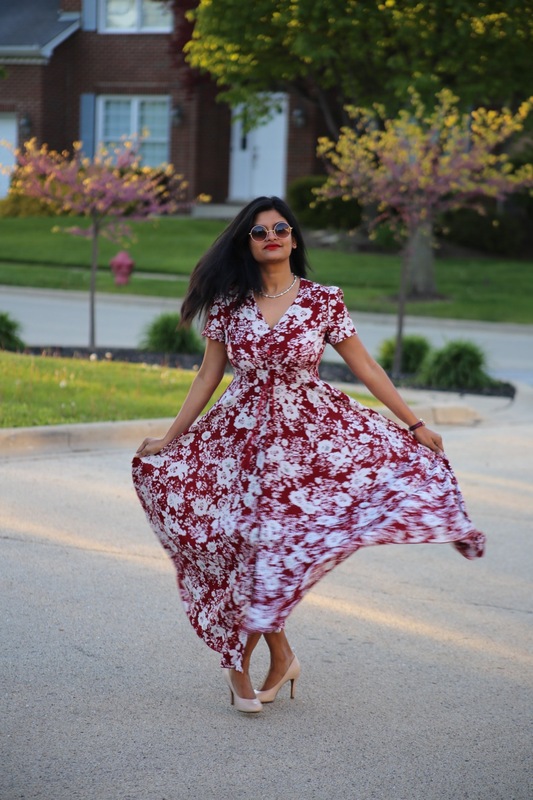 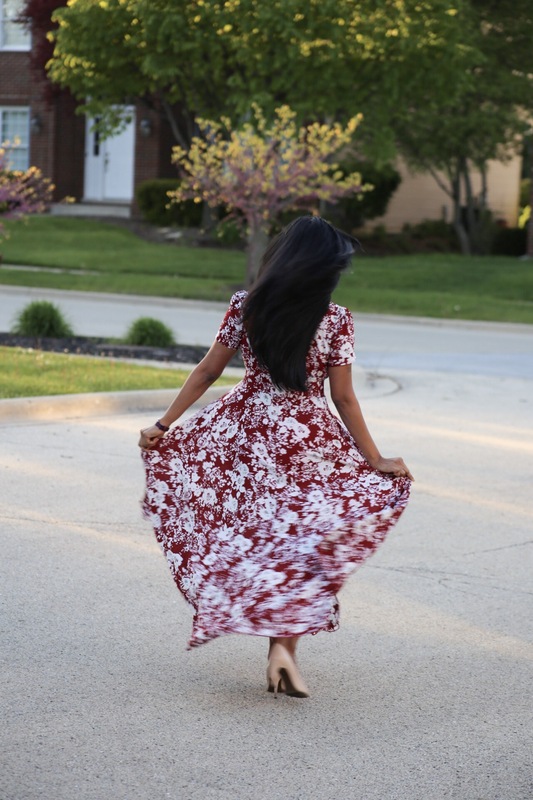 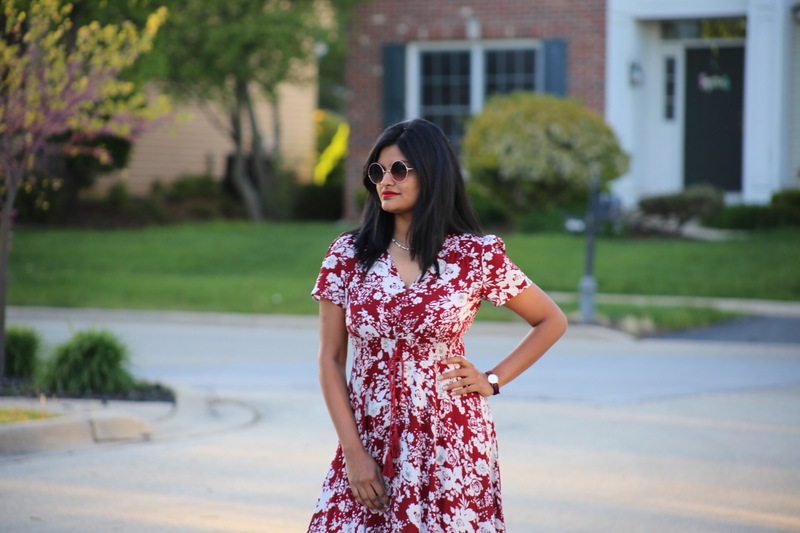 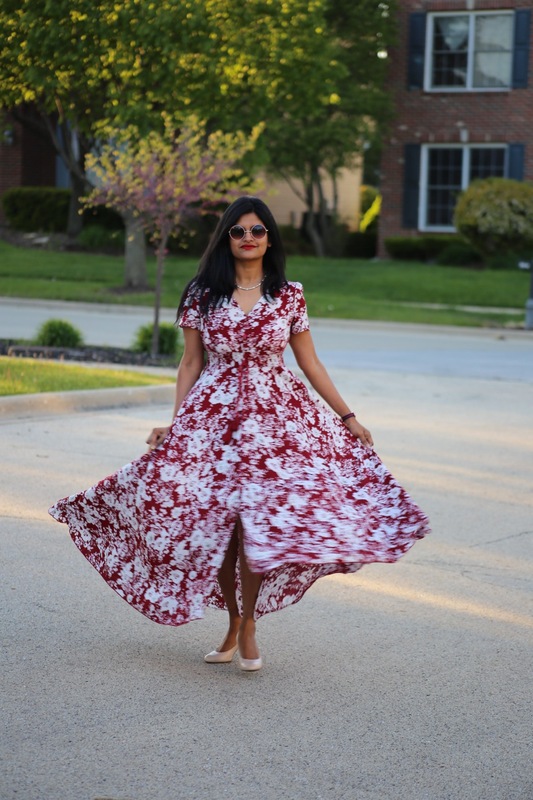 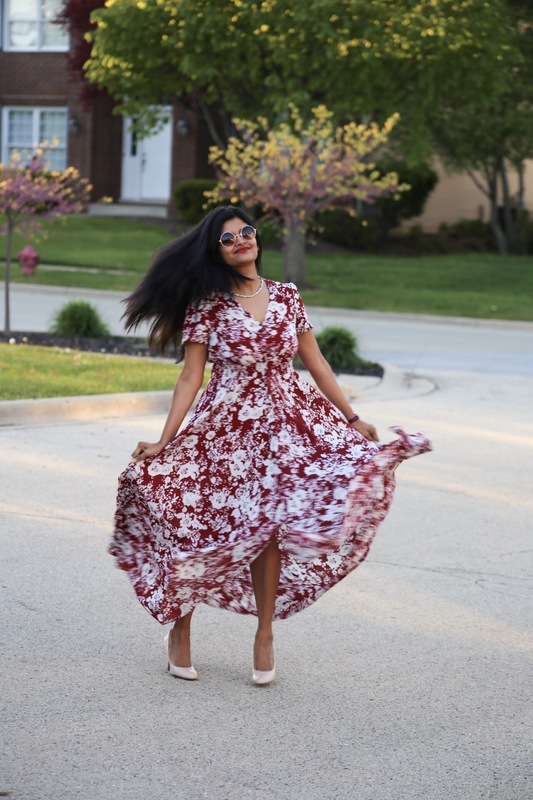 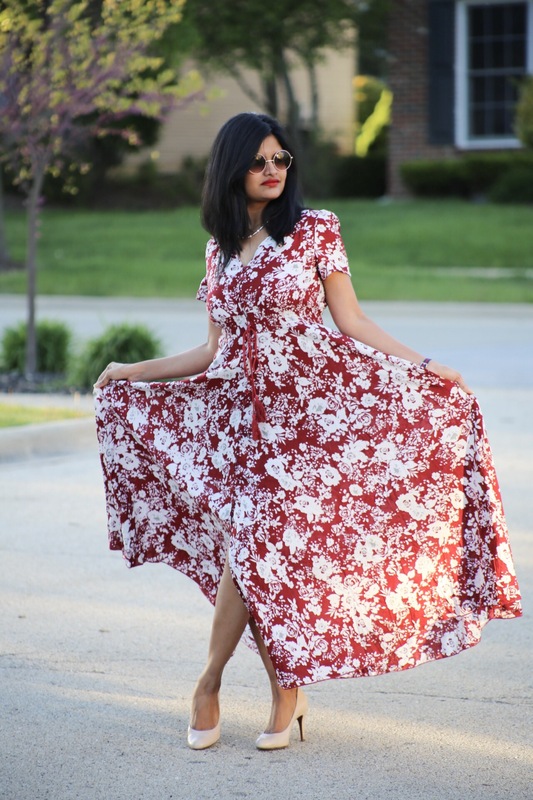 I Twirl with SheIn …. 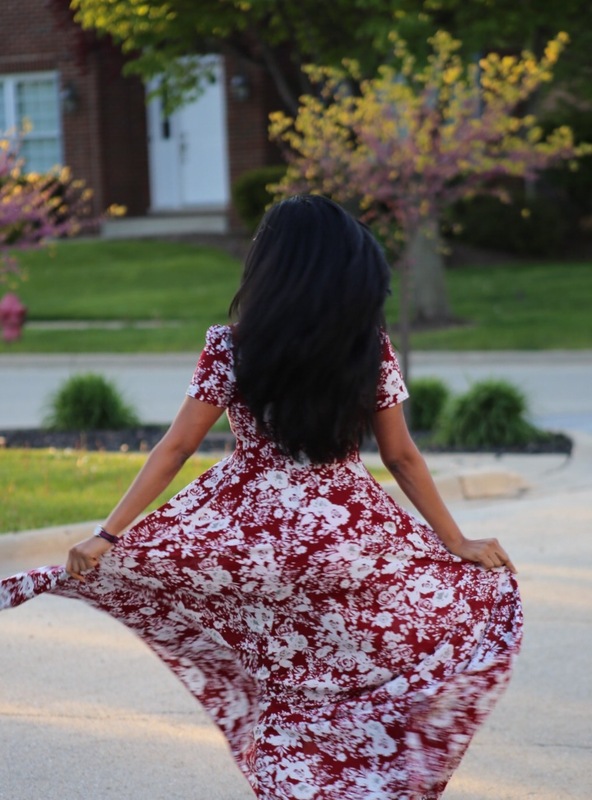 how Beautiful is that !!! 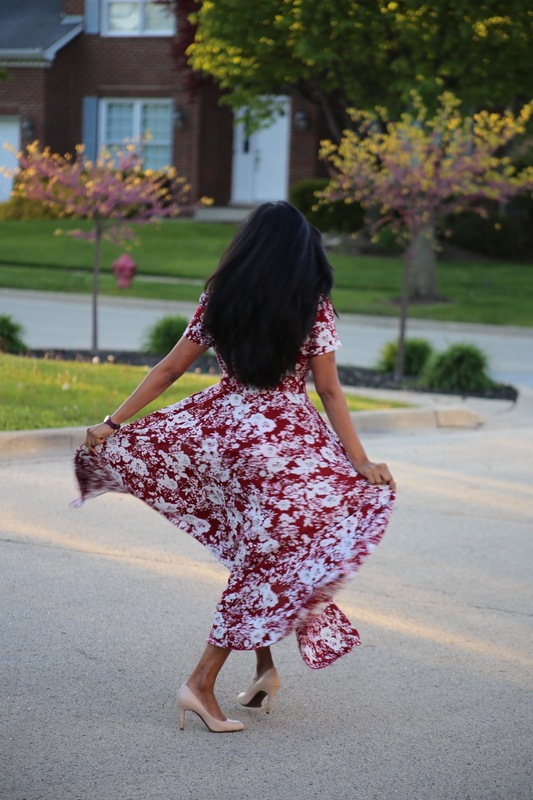 The name says it all … says where I got this gorgeous flowy gown !! 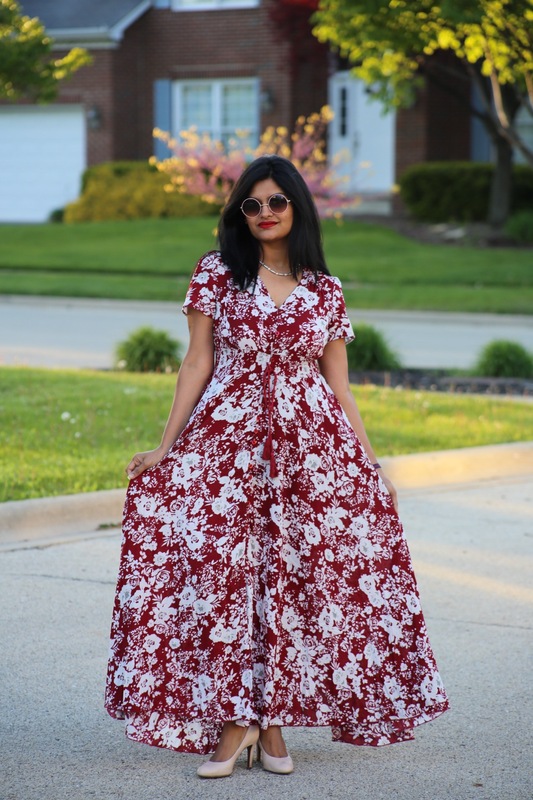 Where else can it be …….from SHEIN !! 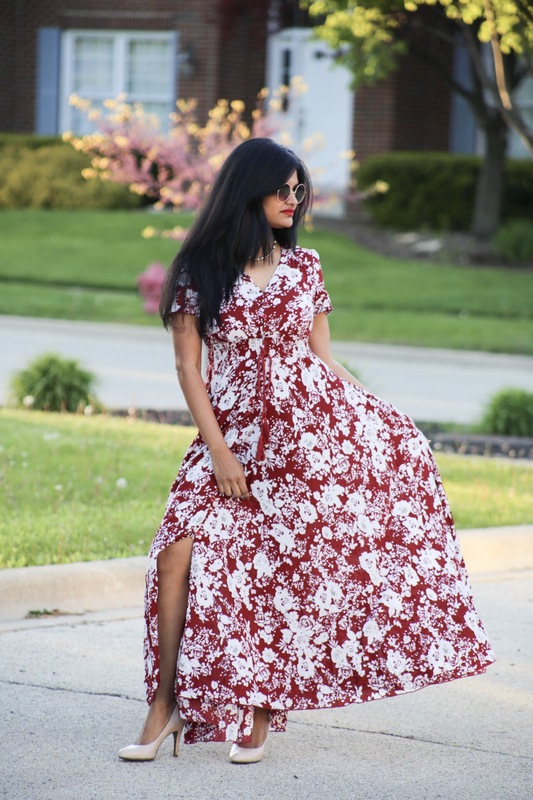 As you all know SHEIN is my favorite Online shopping store and I have collaborated with them many times before . 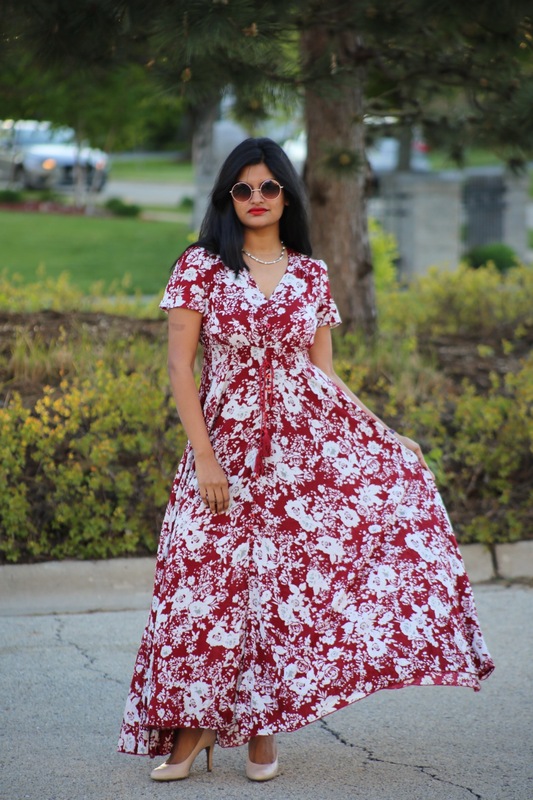 This time I have choosen this Gorgeous flowy Red and White gown with a slit in the front . 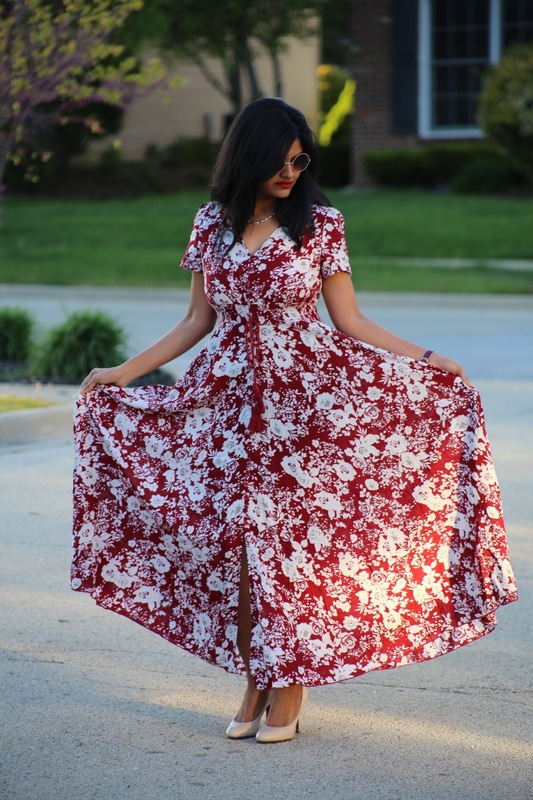 Needless to say that is so perfect for Summer as it is around the corner. 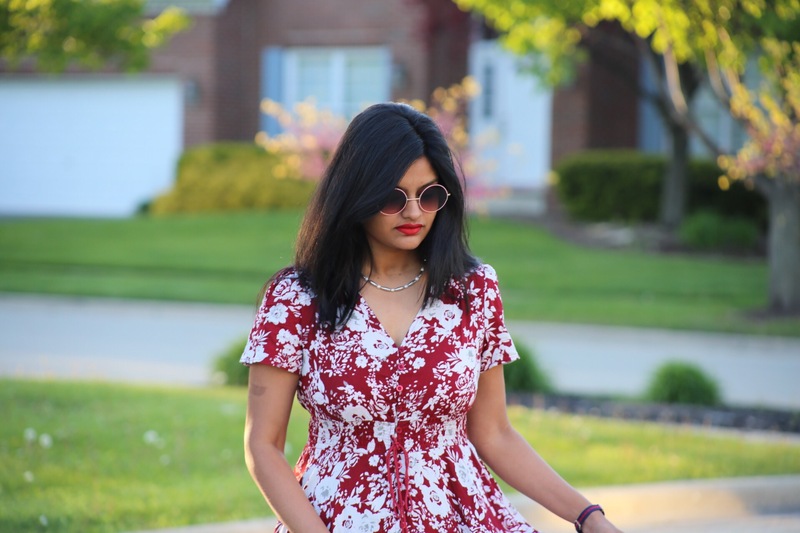 Absolutely loved styling this outfit!! 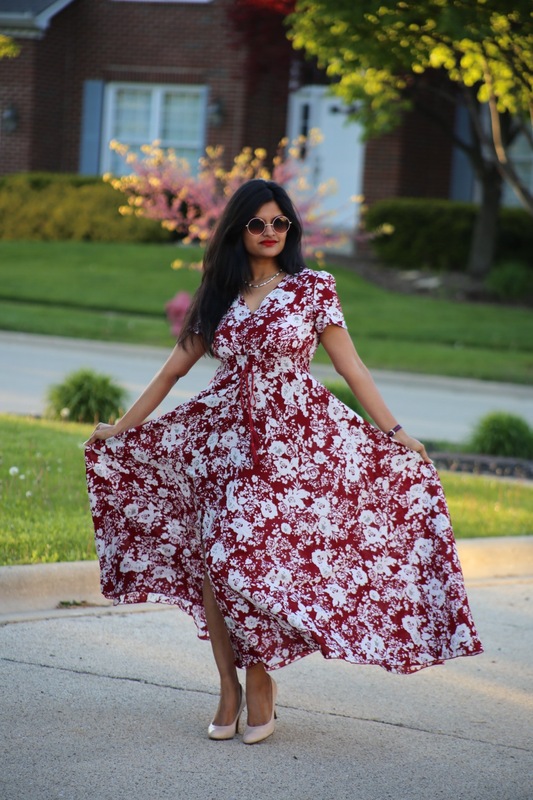 Hope you loved this outfit!! 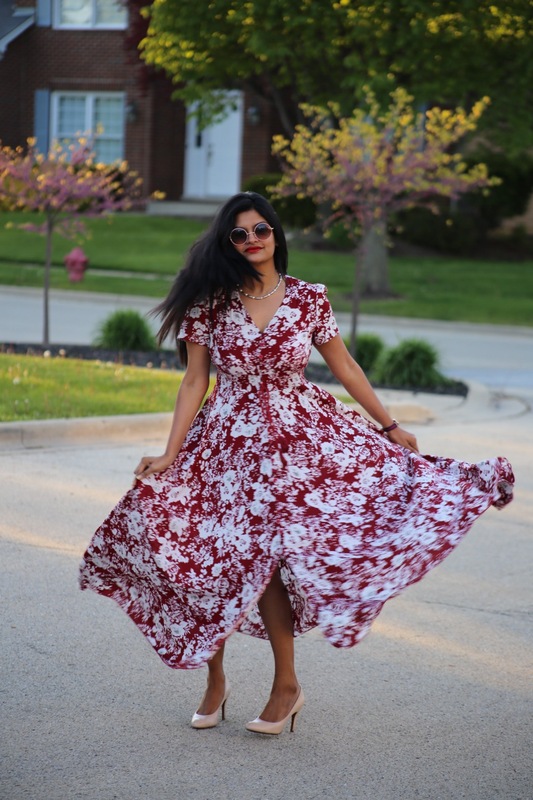 Shein is my absolute favorite online store to shop and you look amazing pretty!!! 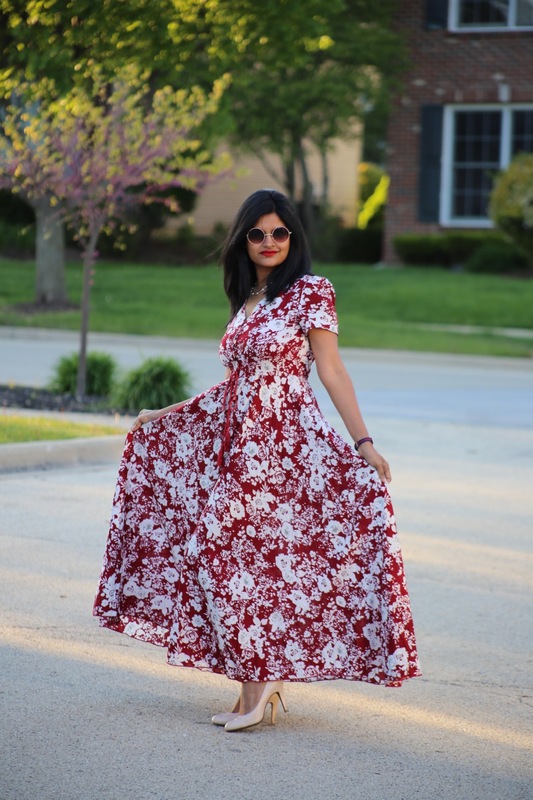 You definitely chose a great dress which is so versatile.